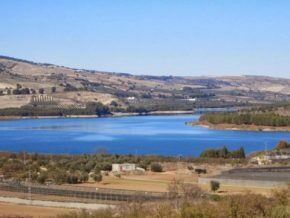 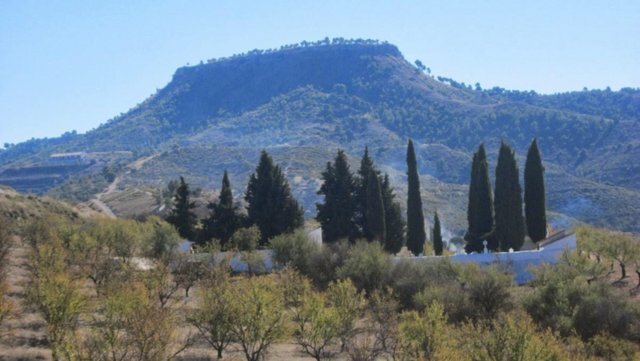 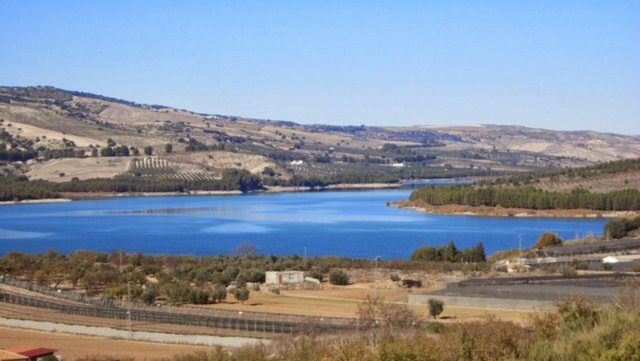 This pretty village house is situated on edge of the beautiful ‘Tejeda Almijara Alhama National Park’ and a few minutes drive (and an easy walk) to Lake Bermejales. 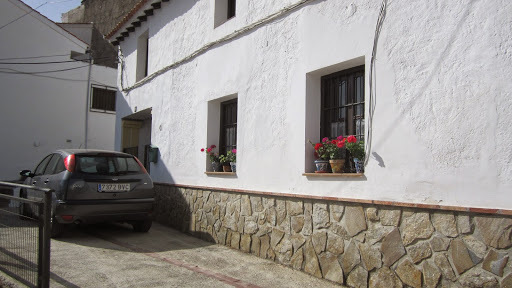 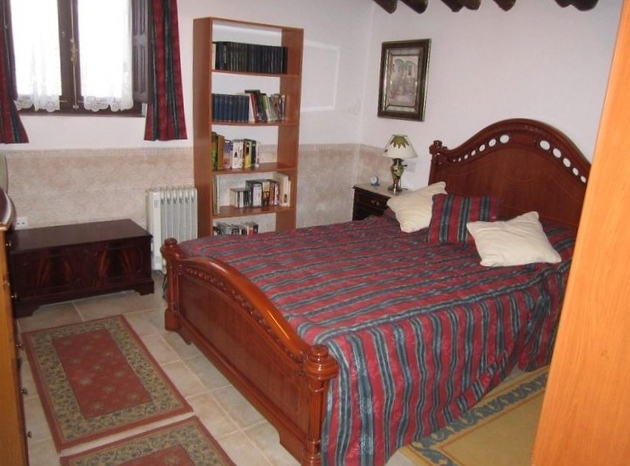 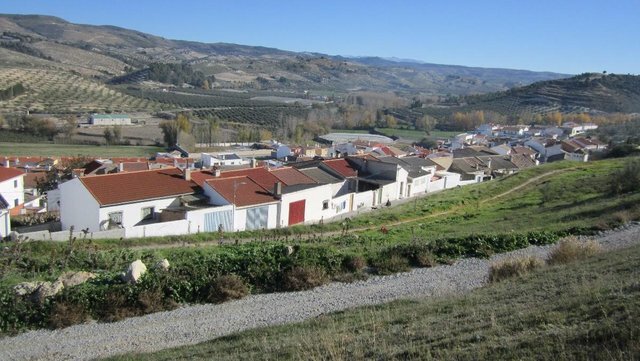 The village of Fornes is totally rural and very quiet, within 40 minutes of Granada city and the Sierra Nevada ski resort, and within 90 minutes of the coast and the Costa del Sol. 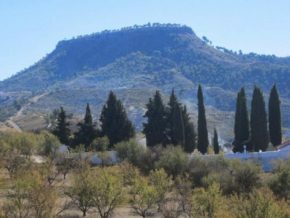 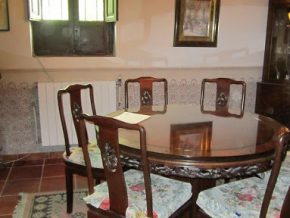 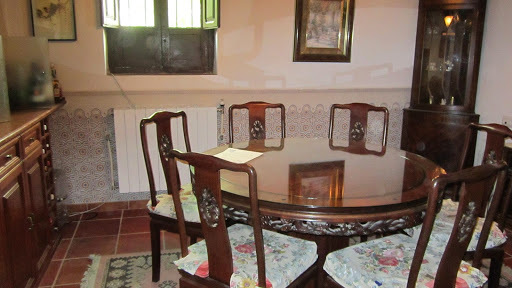 It is an ideal location for anyone wishing to be far away from the tourists of Southern Spain and with easy access to country activities, such as cycling, horse riding and hiking. 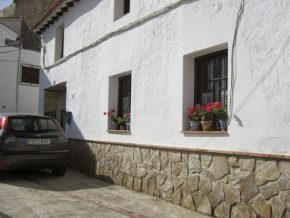 The village has all necessary amenities – several shops, doctor’s surgery, chemist, church and several bars. 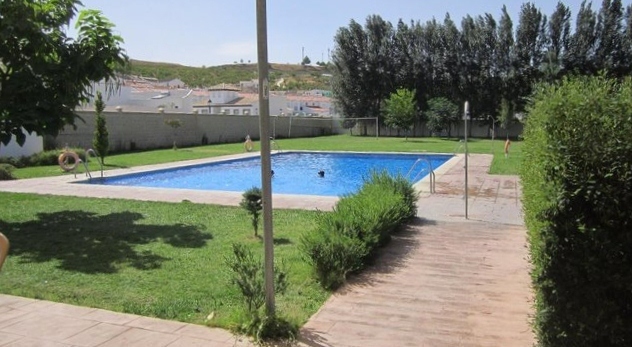 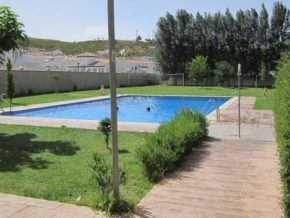 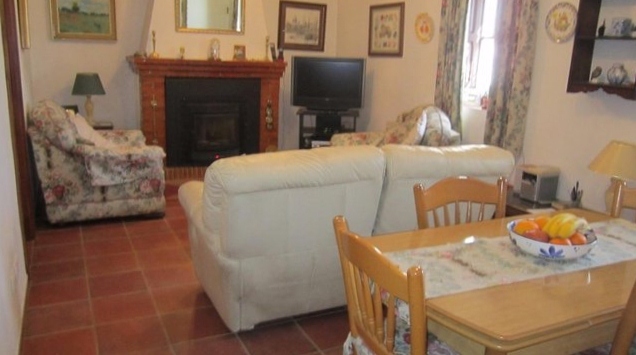 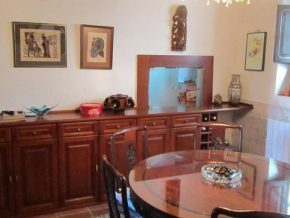 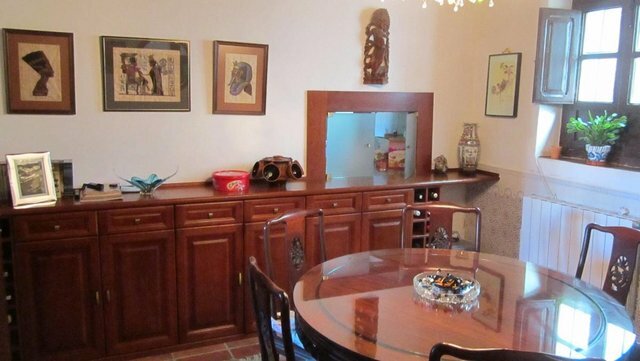 There is also a school, bank, and a large new swimming pool with bar a very short walk from the house. 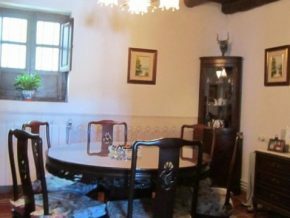 The house, with its traditional shuttered windows and beams, was built by a prestigious local builder, in harmony with rest of the village. 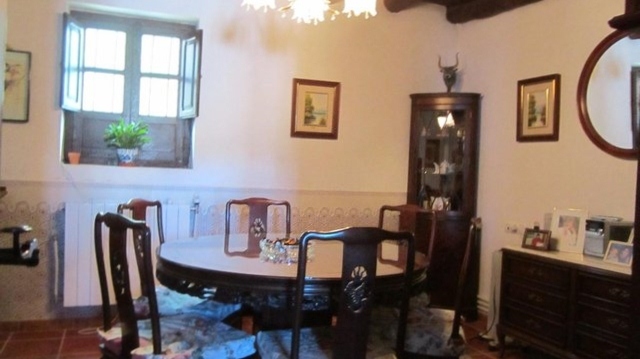 There are wooden beams in the dining room and all upstairs rooms. 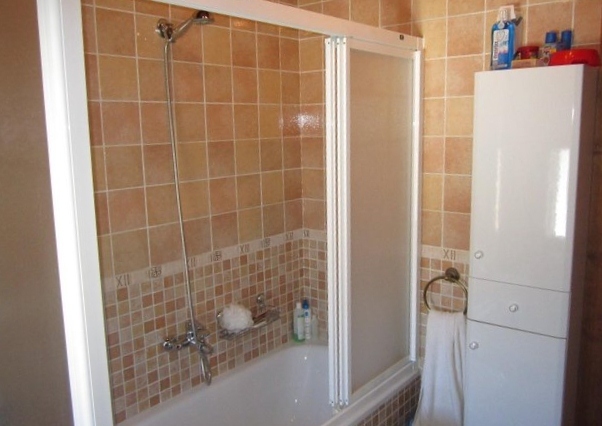 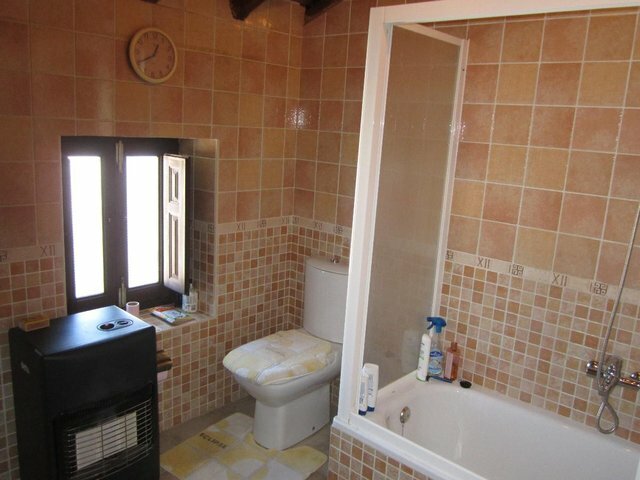 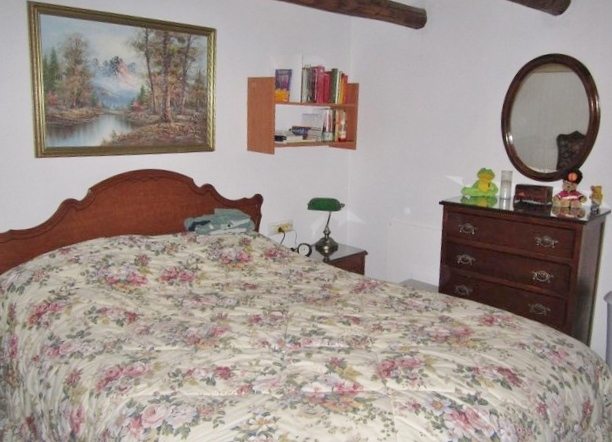 It has a family bathroom upstairs and shower room accessed from the downstairs hallway. 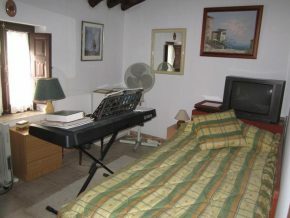 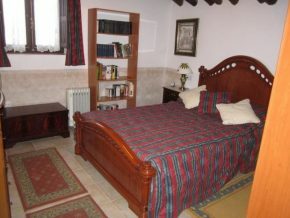 The bedrooms consist of four doubles and one single bedroom. The living room has an ecological pellet fire for central heating in the downstairs rooms and is followed by the dining room. 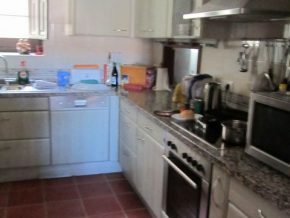 The modern kitchen has a larder, electric cooker with hood, dishwasher and fridge/freezer. 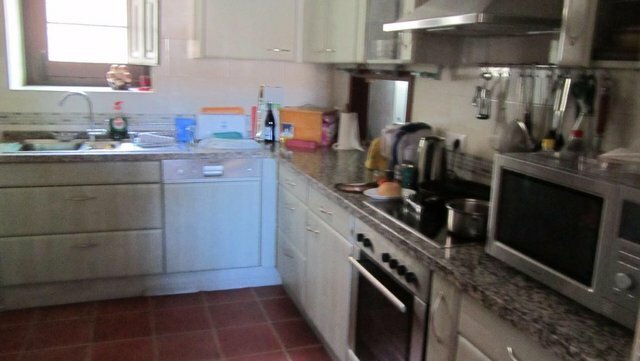 This spacious, fully fitted kitchen looks out onto the large Cordoba style patio. 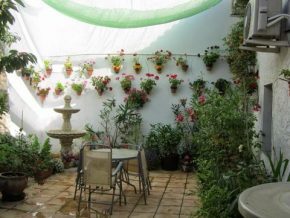 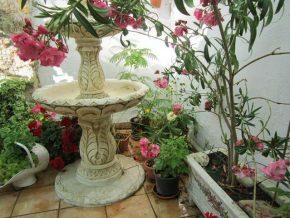 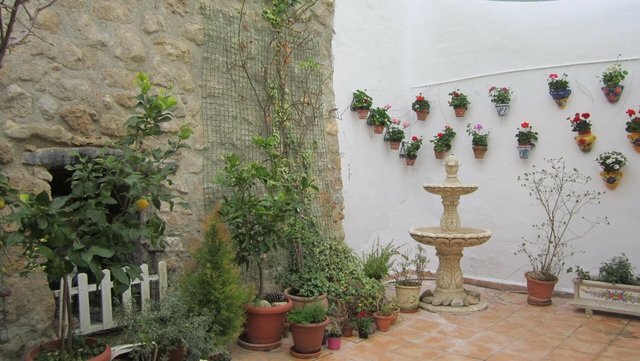 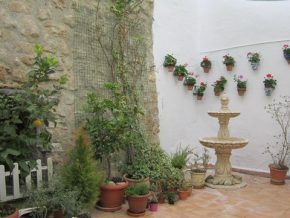 The patio is beautifully tiled and has a profusion of plants and trees, with a full watering system to make upkeep easy. 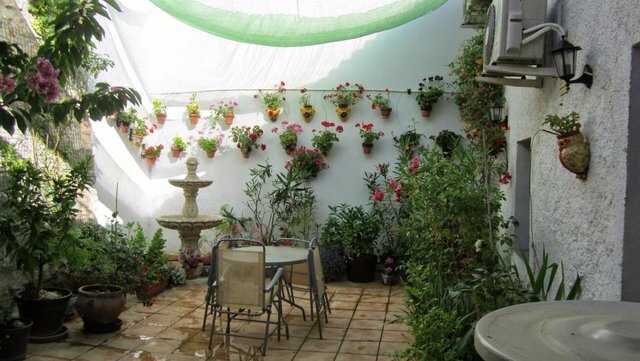 The patio is an excellent outdoor space and a private oasis of peace – the ideal place to spend much of one’s time living, dining and enjoying the outside lifestyle of this part of the world. 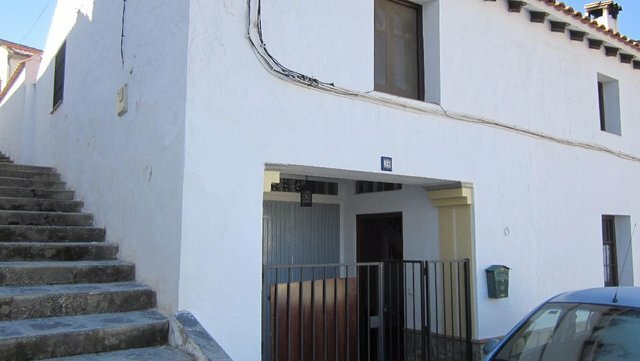 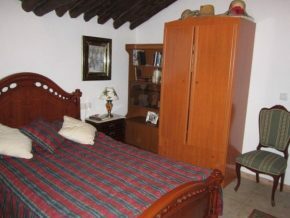 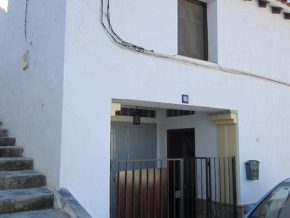 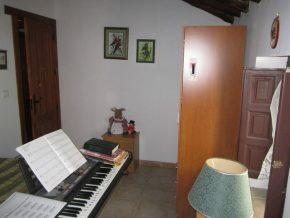 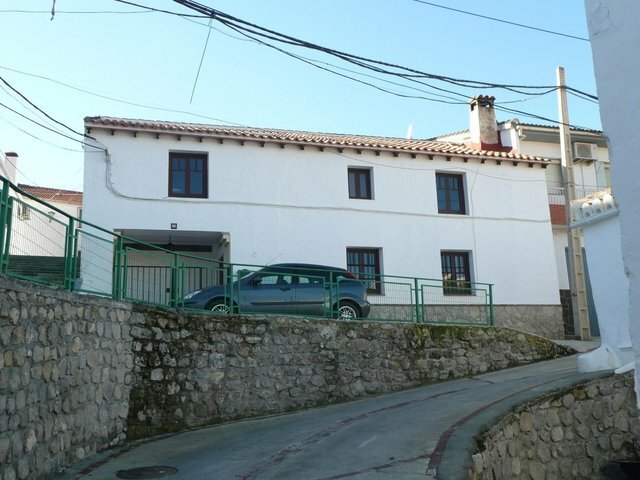 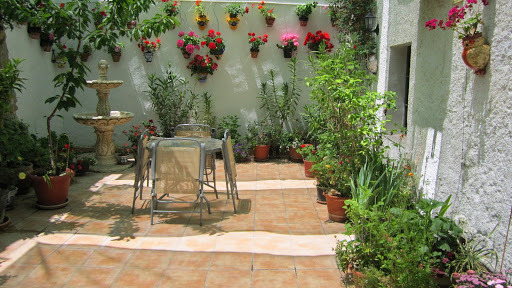 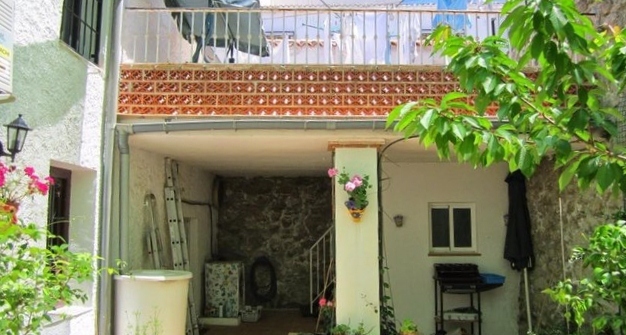 There is also an upstairs terrace of 25m2 approximately, accessed from the patio. 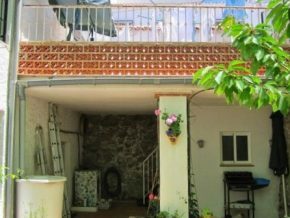 Next to the house is a garage with bench and full shelving (3 x 5.7m), with parking for two cars to the front of the house. 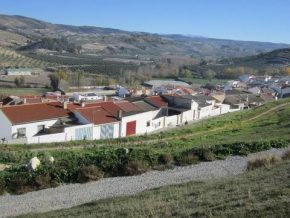 This is a quiet area of the village, with no passing traffic. 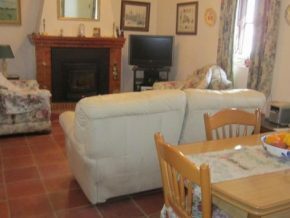 There is air conditioning in the living room and main bedroom and a pellet fire with back boiler to radiators in all rooms downstairs. 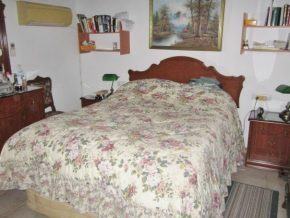 Upstairs there are heated panels in all rooms. – Spacious village house (approx. 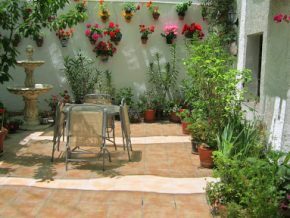 206m2 inc. garage) with large walled patio garden of 60m2 plus upper terrace of 25m2. 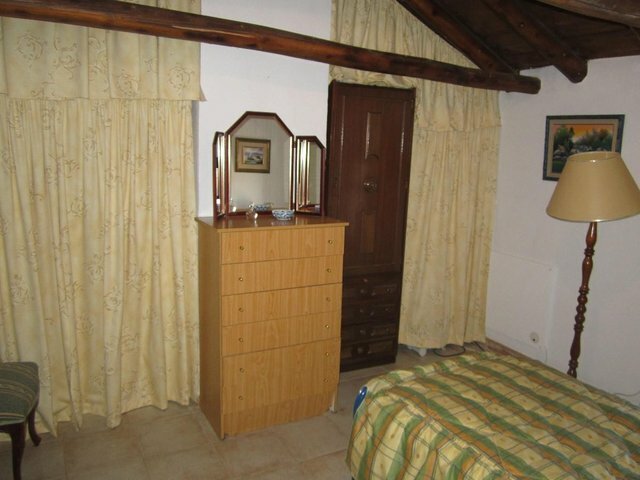 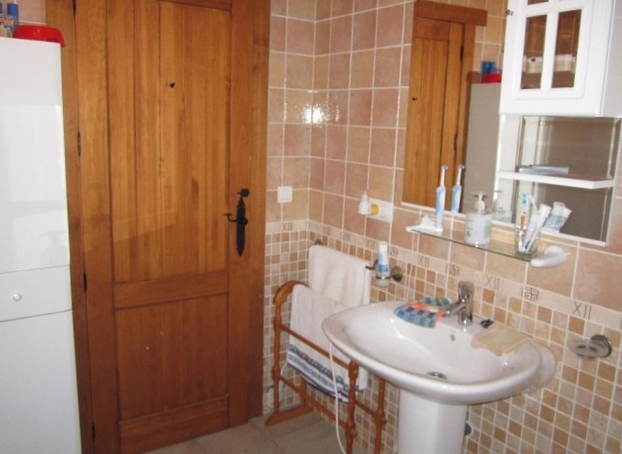 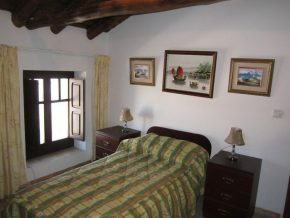 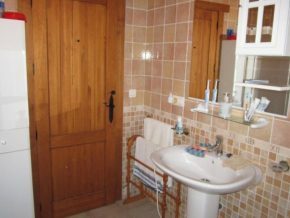 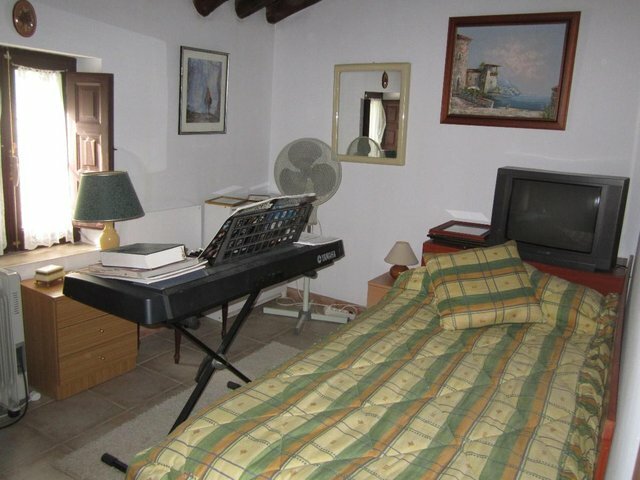 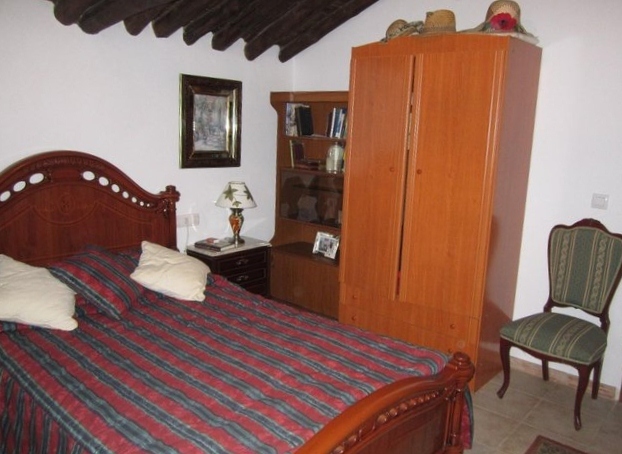 – Character property, with beams and wooden shutters. 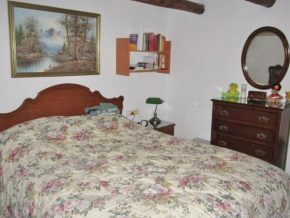 – Air conditioning in the living room and main bedroom. 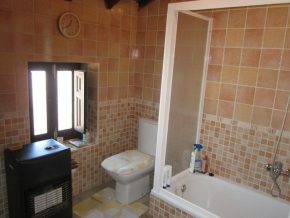 – Pellet fire with back boiler to radiators in all rooms downstairs. 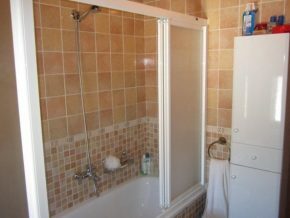 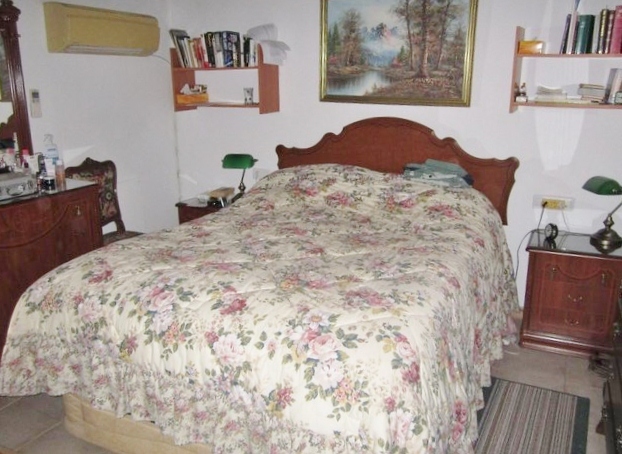 – Heated panels in all upstairs rooms.